Will this be another cracker of a contest ? – first match of the Qualifiers in IPL 2017.? Mumbai Indians captain Rohit Sharma won the toss, chose to bowl in the first qualifier, against Rising Pune Supergiant, at the Wankhede Stadium. Of the seven games at this venue during the league stage, four have been won by the chasing team. In an interesting format (the same in all IPLs) - the winner of this match goes straight into the final, the loser will have another shot at getting there. Mumbai brought back Mitchell McClenaghan, Jasprit Bumrah, Lasith Malinga and Parthiv Patel, all of whom were rested for their previous game against Kolkata Knight Riders, for Saurabh Tiwary, Vinay Kumar, Tim Southee and Mitchell Johnson. Ambati Rayudu, who struck 63 in the final league game, retained his place ahead of Nitish Rana. Karn Sharma preferred over Harbhajan Singh, dropped !!. Rising Pune had just once force change - fast bowler Lockie Ferguson, who just bowed a fast wide, for Ben Stokes, as he had to leave to join England's camp ahead of their ODI series against South Africa. MI strategists were feeling happy – after 18, RSP were only 121/3. McClenaghan was pulled for a 4; being a beamer, a no ball - hit straight down for a 6 by Manoj Tiwary. The 4th ball disappeared miles away, hit massively by MS Dhoni; couple of wides, a dot ball and the last one hit back into the dugout for another 6 by MSD. 26 came off it. Last over by Jasprit Bumrah – 2nd ball hit flat over cover for a 6; 4th hit straight back over the head of the bowler for another 6 – Bumrah denied runs of the last 2 – but Dhoni and Manoj Tiwary have given something bowl for Pune. Mi chasing and diminutive Parthiv Patel has given rousing start with 3 sixers already ~ and suddenly TN boy Washington Sundar has turned the tables with his offies – getting rid of Rohit Sharma and then Ambati Rayudu..
16th May 2017 @ 10.22 pm. It was a literally a race against time for India in the Kulbhushan Jadhav case. The International Court of Justice (ICJ) was not in session and the intelligence community in Delhi had indicated that Pakistan was speeding up Jadhav's execution. 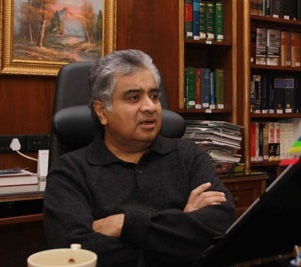 Alarmed by the piece of intel on Jadhav, India dispatched to The Hague noted lawyer Harish Salve, who gave an intense and urgent briefing of the case to the ICJ registrar for close to 20 minutes. The dramatic dash resulted in International Court of Justice asking Pakistan to hold its hands on a military court's death sentence to Jadhav while according top priority to India's request for interim stay on the execution till its formal hearing. Mr Harish Salve being a top lawyer, charging pretty high is well known. He reportedly is a man with penchant for apple products and man of fine taste, driving a Bentley. Some one muttered on twitter that - any senior lawyer "would have done the same and with much less expenses than Harish Salve !! – cheap comments indeed. It is before the Highest Forum – the International Court of Justice has its seat in ‘Peace Palace’ building in The Hague, the Netherlands. The Palace officially opened on 28 August 1913, and was originally built to provide a home for the PCA, a court created to end war by the Hague Convention of 1899. The International Court of Justice will decide whether to order Pakistan to temporarily halt the execution of former Indian naval officer Kulbhushan Jadhav after what India termed a “farcical” military trial in Pakistan, following a day of intense public hearings at the Peace Palace here. During the hearings, India’s Counsel Harish Salve accused Pakistan of “egregious violations” of the Vienna Convention on Consular Access. The former German ambassador to Pakistan Gunter Mullack criticised Pakistan for not allowing India consular access to Kulbhushan Jadhav. The German diplomat also said that executing the Indian national would be like pouring oil on. "According to the Vienna convention, India would have the right to get in contact with the person if he is in Indian being arrested in a foreign country," Mullack said. "Any embassy or consular general has the right to have contact with any citizen, who is arrested or accused in a foreign country," he added. ICJ is hearing the India’s case against the death sentence to an Indian spy Kulbushan Jadhav awarded by a Pakistan military court. After 18 years, India and Pakistan will confront each other in the world court. India has stayed away from the international court and it is only the second time after 1971 that New Delhi has sought the intervention of the judicial arm of the United Nations against Pakistan. According to Pak media, a five-member delegation from Pakistan will be pleading the country’s case in the ICJ, while 13-member team will represent the India. Pakistan would challenge the jurisdiction of the international court to hear the case and present the arguments in this regard at 6pm. Both sides will be giving 90 minutes each to make their arguments, while India will start the argument. It is expected that court will take provisional steps in the case. Court president judge Ronny Abraham of France is expected to hold meeting with the agents or legal representatives of the two countries and decide on the procedural issues such as the time-frame of the case. 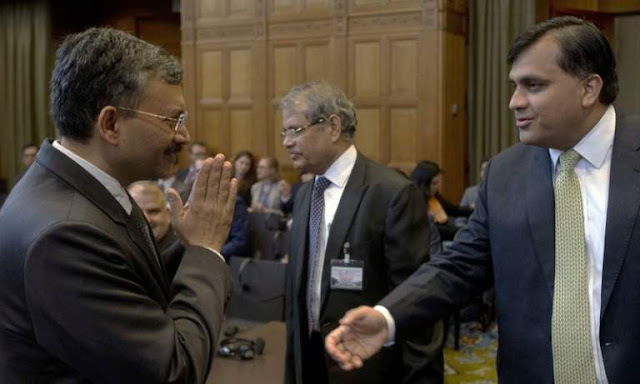 Here is something reported in ‘Dailypakistanglobal’ : India and Pakistan were face-to-face at the International Court of Justice (ICJ) at The Hague after 18 years, a ‘silent’ war of gestures prevailed throughout the hearings as India’s Ministry of External Affairs Official Dr Deepak Mittal refused to shake hands with Pakistan’s Mohammad Faisal’s and offered Namaste. Ahead of the hearing today, while India’s lawyer Harish Salve shook hands politely with his Pakistani counterpart, Deepak Mittal seems to have chosen to take the legal battle to a very personal level and ignored the handshake by Mohammad Faisal, Pakistan’s DG for South Asia and SAARC. Interestingly, Dr Mittal did shake hands with other delegation members of Pakistan, including the Pakistani attorney general, the main lawyer in the case from the Pakistan government. There is increasing strain in Indo-Pak ties in the aftermath of the Kulbhushan Jadhav episode. The ICJ on Monday reserved its judgement on India’s appeal for a provisional stay on the execution of one of its citizens Kulbhushan Jadhav, who was convicted of espionage and sentenced to death by Pakistan. The move came after Pakistan’s lawyer Khawar Quraishi presented his arguments on Monday. Among other things, Quraishi argued over the jurisdiction of the court to hear a case of this nature. Now getting back to that ‘utterly nonsense tweet’ on the fees of Harish Salve : Union Minister Sushma Swaraj revealed how much senior advocate Harish Salve is charging to argue the case of Kulbhushan Jadhav at the International Court of Justice in The Hague, Netherlands. The former Solicitor General of India spoke for nearly one-and-half hours to present India's appeal against the death sentence to Mr Jadhav, whom Pakistan has accused of spying. In a response tweet, Ms Sushma Swaraj said 61-year-old Mr Salve, an authority on constitutional law who has often represented India in international forums, is charging only Re 1. The enterprising IPL 2017 enters its concluding phase with MI playing Pune today. Virender Sehwag, Kings XI Punjab's director of cricket operations, was unimpressed by the performance of their overseas players in the knockout game against Rising Pune Supergiant on Sunday. Kings XI careened to 32 for 5 in the Powerplay, with all four Overseas Stars of Martin Guptill, Eoin Morgan, Shaun Marsh and the captain Glenn Maxwell having fallen. They were eventually bowled out for their lowest total in the IPL - 73 - and were knocked out of the tournament. "I'm very disappointed," Sehwag said in the post-match press conference. "I can say that none of the foreign players took responsibility and at least played 12 to 15 overs. Their role was at least one of the top four should bat for 12 to 15 overs, but none of the batsmen took the responsibility. "I think they were complaining that the wicket was a bit slow but when you play international cricket so much, you should get used to playing on difficult or good wickets. Mumbai Indians are in familiar territory - playing a qualifier, that too at Wankhede Stadium. They have made it past the league stages in seven out of 10 seasons now and have won both their previous playoffs at this venue. Winning here for them might sound as easy as sweating in the Mumbai humidity. What do they have to worry about now? It's their form against Rising Pune Supergiant, who have qualified for the playoffs for the first time, in their last season. Rising Pune had the better of their neighbours in both the previous matches this season - they first won by seven wickets at home and then handed Mumbai their first loss while chasing this season, that too at their fortress Wankhede. But then they are depleted now ! – still today’s match should be interesting. Can you recognize this performer instantly ? Asian Wrestling Championship 2017 has just concluded. It was held at the KD Jadhav Indoor Stadium, Indira Gandhi Arena, New Delhi. Bajrang Punia ended India’s gold medal drought on the penultimate day of the Asian Wrestling Championship, taming South Korea’s Seunghui Lee 6-2 in the men’s 65kg freestyle category. Bajrang, who has been mentored by Olympic bronze-medallist Yogeshwar Dutt, made a dramatic comeback in the second round of the contest to win the title. After trailing by two points in the opening three minutes, the Indian was more aggressive in the second round, unleashing counterattacks to which his rival had no response. Bajrang’s strategy paid off as he enhanced the lead from 3-2 to 5-2 when the bout was five minutes old. India ended its successful campaign at the Asian Wrestling Championships with a silver medal as Sumit went down to Yadollah Mohammadkazem Mohebi of Iran in men's 125kg freestyle gold medal bout on the final day of the competition, on Sunday. The Indian wrestlers finished with 10 medals, including a gold, five silver and four bronze, bettering their tally of nine medals in the last edition of the Asian Championship at Bangkok, Thailand. Now read this report from the New Indian Express, Chennai edition of 15th May 2017. The turnout at the Asian Wrestling Championship speaks a lot about interest of Indian viewers. When so many are fighting to do their country proud, the topic of discussion among most spectators was the IPL. 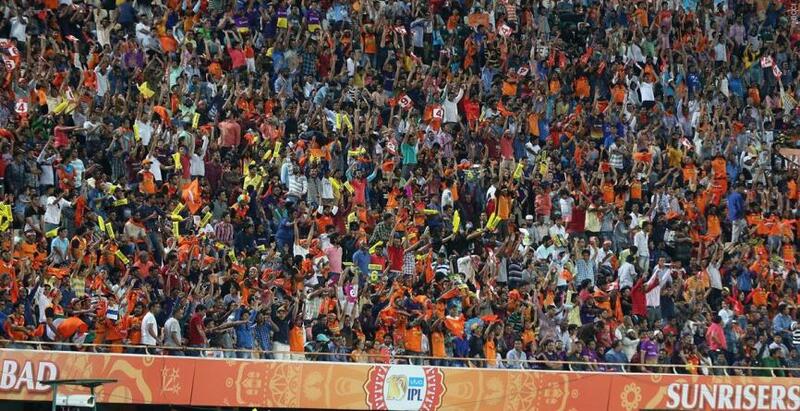 On Sunday, Delhi Daredevils and Royal Challengers Bangalore — two teams already eliminated from the tournament — attracted much more spectators than wrestlers at the Indira Gandhi Indoor Stadium. Sumit won the men’s freestyle heavyweight silver to help India bag ten medals and better their haul of nine from the previous edition of the event in Bangkok. Nobody noticed. Wrestling, a sport that has brought Olympic medals, continues to be neglected. While so many are willing to pay thousands on tickets for an IPL game, the wrestling championship, where entry was free, took place in front of empty stands. Among the few who turned up, the ones making more noise were foreigners. Countries like Iran and Kyrgyzstan had more support, with fans waving flags throughout. Stepping out, one could hear the cheers resonating from the Feroz Shah Kotla. Wrestling Federation of India secretary general VN Prasood felt it was an exception. “Crowds were less this time. But when Sushil (Kumar) and Yogeswar (Dutt) were having trials before the Rio Olympics, the stadium was full. During the Pro Wrestling League too, we had crowd troubles. Police had to use lathis to control people. Glamour quotient is a big deal,” Prasood told Express. Here too, Olympians Sakshi Malik and VineshPhogat were present. But even their star value was not enough. “Now, we have a really talented batch coming up. But we need to get more people to come and support these players. The sport will grow more, as support from people will motivate the athletes more than anything,” opined Satpal Singh, noted coach and gold medallist at the 1982 Asian Games. In a city like New Delhi, people prefer sports that are more glamorous. But that is not the case in villages. People love wrestling in the small towns of neighbouring Haryana and other places. There is also more passion there, according to Prasood. “With many international wrestlers coming in, such tournaments can only be held at venues that can provide the necessary facilities. Criteria like distance from the airport and good hotels for international athletes can only be given if such tournaments are conducted in a city. But we have a lot of hope for the upcoming nationals. I’m sure this won’t be the case that time,” concluded Prasood. Somehow makes a sad reading ! Beauty Pageants ! – some hold the view that they are held to promote socalld beauty products and promote their merchandise in thirdworld countries – fairness creams now sell well in remote villages too – is one view .. .. .. another often criticized one is the Q & A of the top contestants. The contestants had 30 seconds to answer. The countries from Colombia, France, Thailand, and Haiti requested interpreters. Question for Miss Philippines, Maxine Medina: What is the most significant change you've seen in the world in the last 10 years? A: The last 10 years of being here in the world is that I saw all the people being in one event like this in Miss Universe, and it's something big to us that we are one, as one nation, we are all together. .. .. what is your take ? – this post is not simple one on a beauty winner !! Miss USA 2017, the 66th Miss USA pageant, was held yesterday at the Mandalay Bay Events Center in Las Vegas, Nevada. Deshauna Barber of the District of Columbia crowned her successor Kára McCullough of the District of Columbia at the end of the event. McCullough will represent the United States at the Miss Universe 2017 competition. For the uninformed like us, the Miss USA is an American beauty pageant held annually since 1952 to select the American entrant in the Miss Universe pageant. The Miss Universe Organization operates both pageants, as well as Miss Teen USA. The pageant was owned by the current President of the United States of America, Donald Trump from 1996 to 2015, and was previously broadcast on NBC. In September 2015, WME/IMG purchased the pageant from Trump. Currently, Fox holds the broadcast rights for the pageant. Miss Universe is an annual international beauty pageant; then there are Miss World and Miss Earth. Sushmita Sen and Lara Dutta have been the crowned Indians – as Miss Universe. The pageant was founded in 1952 by the California-based clothing company Pacific Knitting Mills. Miss Universe Organization licenses local organizations that wish to select the Miss Universe contestant for their country, and approves the selection method for national delegates. The current Miss Universe logo – "the woman with stars" – was created in 1998. The current Miss Universe is Iris Mittenaere of France who was crowned on January 30, 2017 in Manila, Philippines. 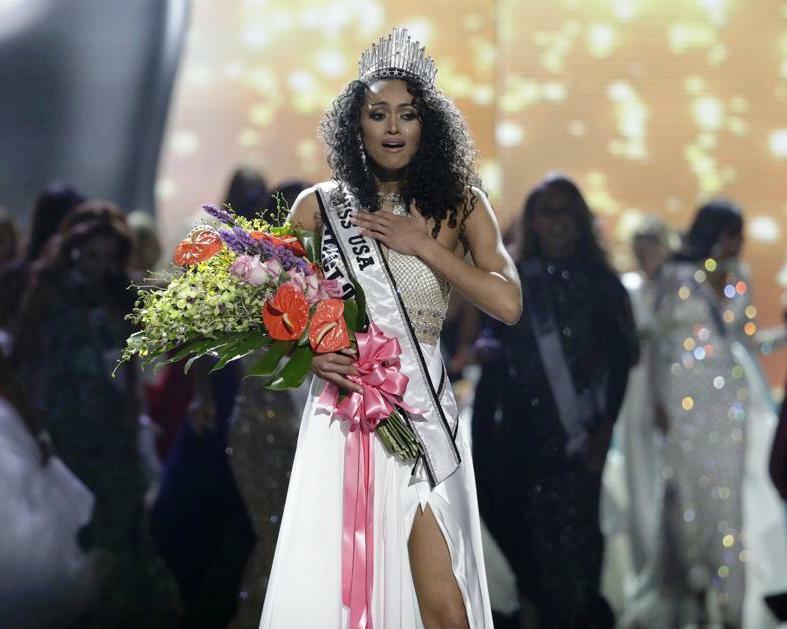 Who would replace her could be hotly debated, even as McCullough has the chance now to have a fling at the crown – and she spotted the rather usual response as she was crowned - Miss District of Columbia USA Kara McCullough is the new Miss USA 2017. For the second year in a row, Miss D.C. won the Miss USA crown. That winner, 25-year-old Kara McCullough, quickly stood out to both the judges and viewers, when her responses from the question-and-answer portion of the pageant on Sunday quickly sparked a social media debate on the topics of health care and feminism. Well, in fact, she attracted criticism. Asked during Sunday's pageant in Las Vegas whether healthcare was a privilege or a right, Miss McCullough said: "I'm definitely going to say it's a privilege." She added: "As a government employee, I'm granted healthcare and I see firsthand that for one to have healthcare, you need to have jobs. "We need to continue to cultivate this environment that we're given the opportunity to have healthcare as well as jobs to all American citizens worldwide. "Her remarks divided liberal-minded and conservative-minded viewers. Some were quick to criticise her stance. But resist the temptation to join the bandwagon to say ‘ beauty often has no brains’ - Kara McCullough, is a scientist working for the U.S. Nuclear Regulatory Commission. McCullough, who represented the District of Columbia in the decades-old pageant, was born in Naples, Italy, and raised in Virginia Beach, Virginia. She said she wants to inspire children to pursue careers in the fields of science, technology, engineering and mathematics. "I love science," McCullough said after the Sunday event. "I look at this as a great opportunity to ... get to experience worldwide culture, as well as just having the opportunity to be impacted by so many children, hopefully in the math and sciences." McCullough bested 50 other contestants and will represent the U.S. at the Miss Universe contest. McCullough said she will be discussing with her supervisor whether she will take a leave of absence from her job at the Nuclear Regulatory Commission during her one-year reign. She earned her Bachelor of Science degree in Chemistry, with a concentration in Radiochemistry from South Carolina State University in 2013. Proven chemistry of brain with beauty ! In life, there are so many important things – the most important thing is LIFE itself. We know that it takes days and months for accomplishing feats ~ ‘Metro train comes into being only after years’ – yet, we come across ‘just a second / just a minute’ ~ though second is a miniscule part of minute, these are used almost interchangeably !! - the hard truth is that there just aren't quick fixes for most things in life. It takes time to gain experience and build up an expertise in most fields. Yet lot could happen or be done in shortest span of time !! Safety is everybody’s concern ~ accidents unfortunately do occur – lot many of them could be avoided by observing safety and many lives saved by immediately attending to them. All users of a road including pedestrians, cyclists, motorists, passengers in vehicles, its drivers and others face risk on road. Best-practice road safety strategies focus upon the prevention of serious injury and death. Safe road design is now about providing a road environment which ensures vehicle speeds will be within the human tolerances for serious injury and death wherever conflict points exist. Unfortunately, in our country, some roads are bad and when roads are good, people tend to drive fast and end up with more accidents. Nearer home, we have Kasturba Gandhi hospital [popularly Gosha hospital] which dates back to 1890s. The Madras government took over the management of this hospital in 1921. Inside this century old institution, a wonderful service functioned – tens of thousands of calls made everyday seeking emergency aid lands here, it was the Office and call centre of 108 Ambulance services – that has since moved to more spacious premises at Teynampet. In what could be described as fine blend of Govt Private joint entrepreneurship. GVK Emergency Management and Research Institute (GVK EMRI), the major corporate social responsibility arm of GVK, was established in April, 2005. It provides integrated Emergency Response services promptly responding to millions of emergencies and save lives nationally. This service is spread across 15 states (Andhra Pradesh, Telangana, Gujarat, Uttarakhand, Goa, Tamil Nadu, Karnataka, Assam, Meghalaya, Madhya Pradesh, Himachal Pradesh, Chhattisgarh, Uttar Pradesh, Rajasthan and Kerala) and two Union Territories (Diu Daman and Dadra Nagar Haveli); equipped with more than 11,000 ambulances, over 45 million cases have been attended to and over 1.5 million lives have been saved. For accident victims, it was earlier – ‘Golden hour’ – 108 service redefined and made us aware of ‘Platinum minutes’ too. Any tragedy can be taken to either success or failure within the first 10 minutes of medical attention, they say. In this crucial period, quick and timely help would ensure that the victim is saved so that appropriate treatment can be made available from the nearby hospital. Golden Hour according to medindia.net is defined as the period during which all efforts are made to save a life before irreversible pathological changes can occur thereby reducing or preventing death in the second and third phase. This period may range from the time of injury to definitive treatment in a hospital. The first platinum 10 minutes becomes important to make this golden hour effective and should be distributed as follows to make it fruitful. 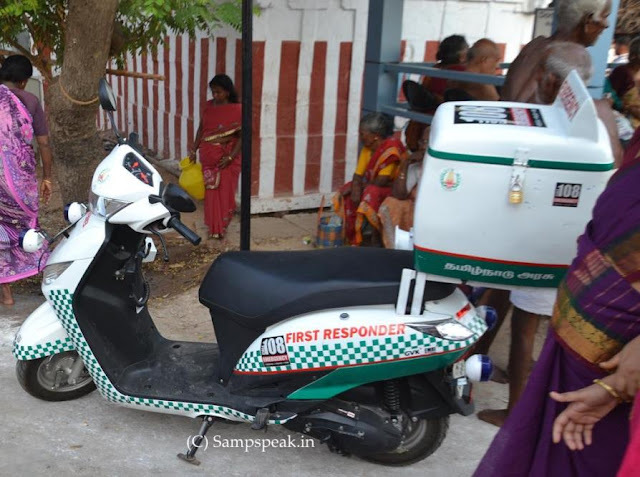 Aimed at serving accident victims timely, Tamil Nadu Govt on 8th Feb 2016 launched two-wheeler ambulance service that would be positioned in vital junctions in the city. Chief Minister Ms. Jayalalithaa flagged off 41 two-wheeler ambulances, worth about Rs. 70 lakh, at a function in the Secretariat.Whenever you see an accident or somebody in dire need of medical attention, do not panic..try and assist the victim in some possible manner.. the simplest is to call the Emergency Service (108) and inform them clearly of the need, probable requirement and the place where their attendance is required. CHENNAI: A deafening crash cuts through the cacophony of horns on the busy highway — the speeding car is reduced to scrap metal by the tanker lorry in no time. Shattered glass shards sparkle on the black tar, mingled with specks of bright red. The man behind the wheel is severely injured. Some hands reach inside the vehicle to pull him out, while others look for a phone to dial 108. Strategic distribution :Ambulances are distributed and strategically located closer to the hotspots where accidents occur frequently based on research data and also information gathered from the police. Places like Poonamallee-Bangalore highway and Chengalpattu-Tiruchy highway are a few of those. The ‘Sense’ team :At the Emergency Response Centre in Chennai, the call is answered and a 3-minute countdown begins. “Vanakkam 108, Sollunga enna emergency”, answers an Emergency Response Officer (ERO). Deciphering all the details of the accident — where, when, how, and who, is the victim conscious, etc — the ERO has to handle the situation calmly by gathering all vital information from the sometimes panicking caller. The type of emergency is categorised — accident trauma.The ambulance closest to the location is identified and dispatched. If the ambulance is busy, then the next available ambulance is alerted.The call is disconnected after reassuring the caller of prompt service, to be free for the next call. The counter clock reads 2.30 minutes. The ERO has done their job well. “We need to be careful when we note down details. Phonetic sounds are tricky to decipher; for instance, Kancheepuram and Gandhipuram may sound the same, so clarification is required. 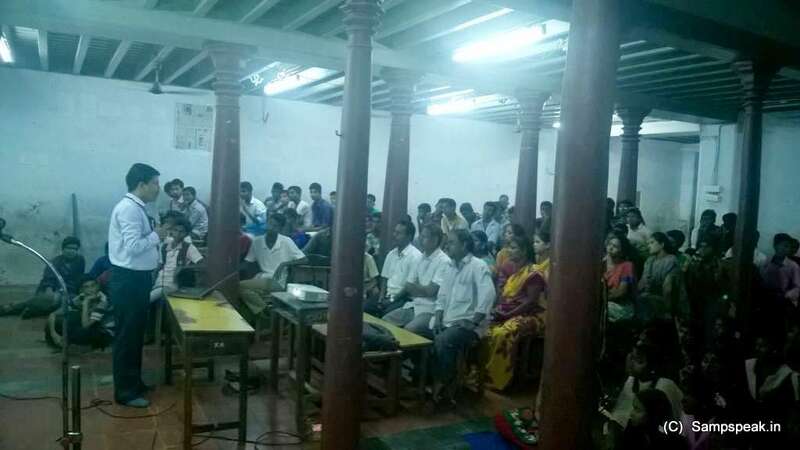 Also, if they say Gemini Bridge, there is one each in Nungambakkam as well as in Coimbatore; so a thorough geographical familiarity and alertness while on call is mandatory,” says an ERO.Average handling time should not cross three minutes. EROs work in six-hour shifts, so that 40 EROs are available to attend calls at any given time. The ‘Reach and Care’ team :The ambulance pilot receives the call, notes down the location and immediately starts the engine to reach the spot within 10 minutes (Average Response Time).Once at the spot, the on-board Emergency Medical Technician (EMT) scans the situation — heavy blood loss, an airway compromise etc is analysed, and responds immediately. In the first ‘Platinum 10’ minutes, three things have to be done — assessing the emergency, immobilising the patient (in case of a fracture) and then in case of no response, immediately reviving the patient using cardiopulmonary resuscitation.This is the protocol —despite the urgency to rush to the hospital. If done successfully, the survival rate increases substantially.The EMT and the ambulance pilot transfer the immobilised patient into the ambulance carefully to avoid worsening injury.Once inside, the EMT works on bleeding control, starts an IV line and gives additional pre-hospital care. A conference call is made to the Emergency Response Centre physician, and all vital details of patient — BP, sugar levels, saturation levels, pulse rate etc are conveyed. The doctor provides guidance.Once the ambulance transfers the patient to the closest hospital, it returns to its original stand-by location, ready for the next call. Ambulance pilots work in 12-hour shifts. ~ they are ready for the next call – not caring to know, whether the common man appreciates or not – the warriors, nay Saviours. Pinnipeds, colloquially known as seals, are a widely distributed and diverse clade of fin-footed, semiaquatic marine mammals. There are Seals and Sea-lions – and obviously there are some differences between the two species Both seals and sea lions, together with the walrus, are pinnipeds, which means "fin footed" in Latin. But seals' furry, generally stubby front feet — thinly webbed flippers, actually, with a claw on each small toe — seem petite in comparison to the mostly skin-covered, elongated fore flippers that sea lions possess. Sea lions have small flaps for outer ears. Seals do not. Sea-lions are noise. Sea-lions can walk on land by rotating their hind flippers forward and underneath their big bodies. That trait makes them vulnerable to be showcased in aquarium ad marine shows ! Close to two decades ago, a resort in East Coast Road, Chennai decided to import sea lions and dolphins for performance – they initially attracted larger crowds too ! alas, the poor creatures could not adapt to the Madras climate and slowly died one after the other. A PSU Insurer had provided cover both for the transit and their lives thereafter – and had to pay compensation to its owner arising out of their untimely death ! – remember that their values were a lakh or so !!! ~ again the value insured during Marine transit was higher and as the show progressed, the owner settled for a lower SI to cut down the premium cost and perhaps thus saved the Insurer of a bigger loss ! Away, ‘SEAL’ is reference to the United States Navy's Sea, Air, Land Teams, commonly known as the Navy SEALs, the U.S. Navy's principal special operations force and a part of the Naval Special Warfare Command and United States Special Operations Command. The SEALs' duty is to conduct small-unit maritime military operations which originate from, and return to a river, ocean, swamp, delta, or coastline. All SEALs are male members of the United States Navy. The Navy SEALS were in operation in the killing of Osama. The Seals (animals) have streamlined bodies and four limbs that are modified into flippers. Though not as fast in the water as dolphins, seals are more flexible and agile. Pinnipeds have well-developed senses—their eyesight and hearing are adapted for both air and water, and they have an advanced tactile system in their whiskers or vibrissae. Some species are well adapted for diving to great depths. They could be show animals – but this purpose in Putin’s Russia is entirely unthinkable by commoners. 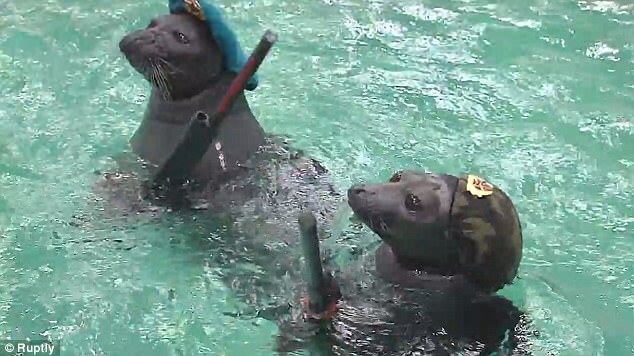 The Siberian Times reporter and some other Press reported that ‘even the seals are in patriotic mood as Russia marks sacred Victory Day’ – patriotic mood (!) as they wore military headgear, raised the flag, carried knives in their mouths, and even indulged in target shooting !!! MailOnline reports that they may look cute and friendly but seals could become modern warfare's deadliest weapon - at least if this video is anything to go by. Aquatic mammals Tito, 16, and Lilo,9, have been trained to shoot, defuse bombs and raise naval flags. 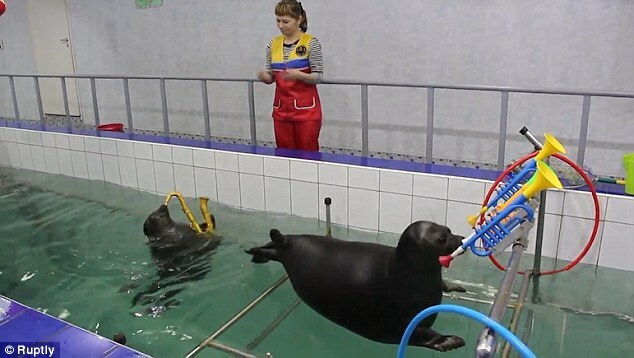 Footage showed them firing water pistols at targets and even saluting their trainer at Baikal Seal Aquarium, in the city of Irkutsk, Russia. Their training is all in honour of the county's Victory Day celebrations on Tuesday to commemorate the 72nd anniversary of the capitulation of Nazi Germany in 1945. Director of Baikal aquarium Evgeniy Baranov told Ruptly TV the seals were intended to provoke 'some patriotic feelings, and readiness to defend their Homeland' ~ and Maria Chernovopivskaya, Trainer, Baikal seals aquarium, said: 'Tito and Lilo – those are our two fighters - they're just like us, different, each one with their own nature. 'Tito is like a go-ahead fellow and Lilo, as a girl, is more shy.' But Warfare is not the only thing seals at Baikal Aquarium are trained to do. Last year the MailOnline reported on two seals at the same place that can paint, dance and even play the saxophone. Seals at Baikal Seal Aquarium in the city of Irkutsk have been training in the fine arts and have even mastered such other skills as painting. Those two seals were Winnie-the-Pooh and Laska which showcased their talents by painting strokes on a canvas and playing brass and woodwind instruments to entertain families with a special New Year's show. Interesting or man’s intrusion into animal kingdom changing their natural ways ! Macron inaugurated to Presidency ~ his ex-teacher wife Brigitte in news !!! 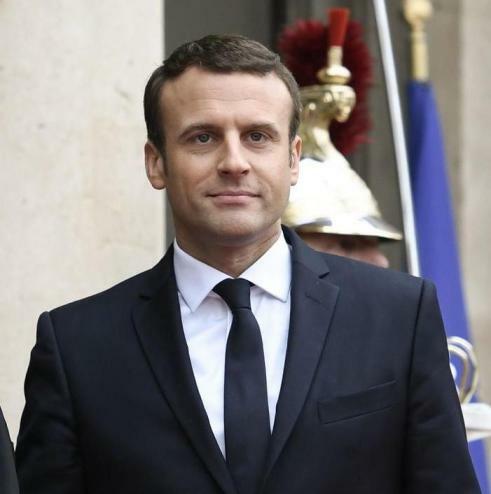 At an elaborate ceremony at the Élysée Palace in Paris, he said his presidency would "give the French back the confidence to believe in themselves". He vowed to see the EU "reformed and relaunched" during his time in office. He takes over from François Hollande, whose five-year term was plagued by high unemployment figures. Mr Macron was proclaimed France's new president a week after his resounding victory over the National Front's Marine le Pen, with 66% of the vote in the run-off poll. The former investment banker, who had never contested an election before and only formed his centrist movement a year ago, has vowed to shake up the country's political order and reinvigorate its economy. Yet, something else too is garnering attention – the daughter of France’s new First Lady Brigitte Macron (née Trogneux) says “jealousy” is behind the “abhorrent” attacks on her mother’s relationship with Emmanuel Macron, who was proclaimed the President of France Sunday morning. “I find it abhorrent in France in the 21st century such attacks, which would not be carried out against a male politician or a male companion of a female politician,” she continued – wonder what it is all about ? Earlier, the newly elect President Macron who has talked up a hard Brexit faced his first test when a hard-left demonstration in the French capital descended into a riot. Communists and revolutionary groups clashed with heavily armed riot police in the centre of Paris. Thousands of demonstrators gathered at the Place de la Republique calling for 'resistance' to President Macron's 'capitalist' agenda of employment and benefits reforms. There were ugly scenes, as riot police pushed protestors back using batons and tear gas. The march paused on the traditional 2km route to Place de la Bastille - the scene if the first throws of the 1789 French Revolution - where bottles and missiles were thrown at riot police. Squadrons of heavily armed officers responded by firing tear gas and baton charges. France's new President-elect has vowed to be a tough negotiator. He has described Britain’s decision to leave the EU as ‘a crime’, and is in favour of a so-called hard Brexit that will see the UK kept out of the single market. He also pledged to unite France following his resounding 66 per cent election landslide that ended any hopes of victory for the nationalist firebrand Marine Le Pen, 48, and her National Front (FN) party. The 39-year-old appeared at the Arc de Triomphe in central Paris, where he remembered the fallen from the most devastating conflict in human history. Soon after the moving ceremony at the Arc de Triomphe, anarchists and other rioters hijacked a trade union demonstration against Mr Macron around the Place de la Bastille. Mr Macron was particularly keen to assist in the laying of flowers at the Tomb of the Unknown Soldier, underneath the Arc de Triomphe. He is particularly opposed to the FN, which has always been associated with nostalgia for the Third Reich, racism, anti-Semitism, and hatred of Islam. Beyond dealing with such domestic strife, Mr Macron’s main challenge will now be to build a majority in the Paris National Assembly, during parliamentary elections in June. Emmanuel Macron's ex-teacher wife Brigitte is anticipated to play a key role in the centrist's new government. While Macron is hailed as the young saviour at the age of 39 – his wife is 64 and the 24 year age gap has come under much scrutiny, since the French President launched his leadership bid in November 2016, months after founding the En Marche! political movement. Mr Macron shared a classroom at a Catholic school with one of Mrs Trogneux's two daughters Laurence – who is also 39. Her daughter was to say that - “I find it abhorrent in France in the 21st century such attacks, which would not be carried out against a male politician or a male companion of a female politician.” Mirroring a Michelle Obama approach to her first lady role, Brigitte Trogneux, 64, who is more than 24 years older than her husband, is reportedly keen to become involved in issues such as education. With two decades more life experience than her husband and as the ex-teacher who has shaped his character since the age of 15, the grandmother of eight is expected to play an active role in the new government. 'Brigitte's main interest is education reform and she will concentrate on work for autistic and disadvantaged kids, out of the political firing line,' Candice Nedelec, co-author of a biography of the couple, told The Sunday Times. When Mr Macron, 39, worked as finance minister under Francois Hollande, Mrs Trogneux was the person who oversaw her husband's diary and this role continued once he created En Marche!. She is also said to correct his speeches and act as an intermediary. 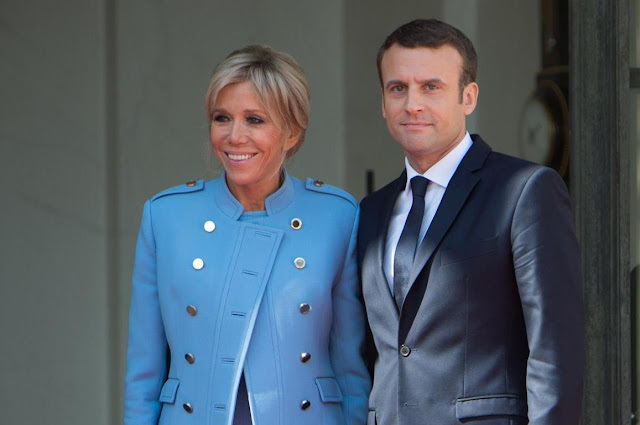 But once the Macrons move into the Elysee Palace, Mrs Trogneux who once said she would have preferred that her husband had gone on to become an author rather than work in politics, will reportedly have more on her plate including tasks, staff and a budget – but no salary. By not paying his wife, Mr Macron could be trying to distance himself from the 'Penelopegate' scandal which heavily contributed to republican candidate Francois Fillon being wiped out of the election race. Mr Fillon sensationally fell from grace when a French newspaper reported that he had paid his British wife Penelope hundreds of thousands for a job she never carried out. 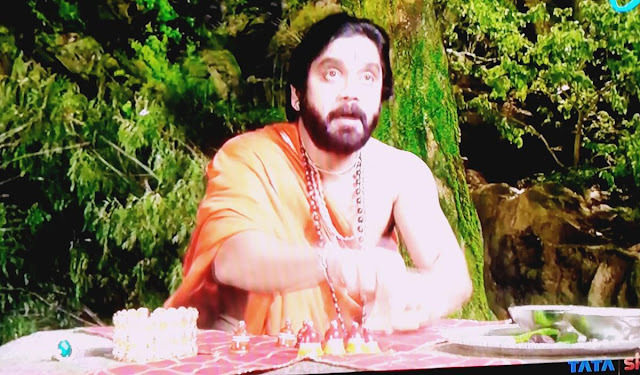 Yes, it is a movie review – I was moved in seeing ‘Om Namo Venkatesaya’ – a story of Hathiramji – many aspects of the legend on how he reached Thirumala, why he was jailed and how Lord rescued him in the guise of an elephant – all have dramatic impact. It is all about Rama (Nagarjuna) and Lord Venkateswara or Balaji (Saurabh Jain) as his devotee Rama calls him, are seated overlooking a precipice, playing a game of dice (pachikalu). Rama, as legend has it, was a reformist devotee who had to clean up the functioning of the temple. In the cinematic version, this allows scope for a corrupt and powerful temple dharmadhikari. The clash between Rama and Govindarajulu, Rama setting up an ashram and with persuasion setting things right in the temple premises are all well narrated. Nagarjuna has been on this devotional path before, in Annamayya, Sri Ramadasu and Shirdi Sai. He doesn’t falter in his portrayal of Rama. 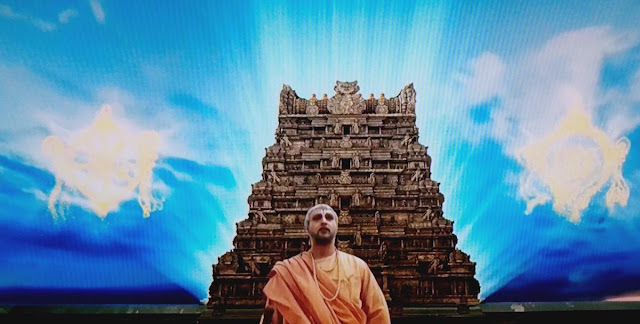 His journey is aided by Krishnamma, a Goda Devi or Andal-inspired fictional character played by Anushka Shetty. 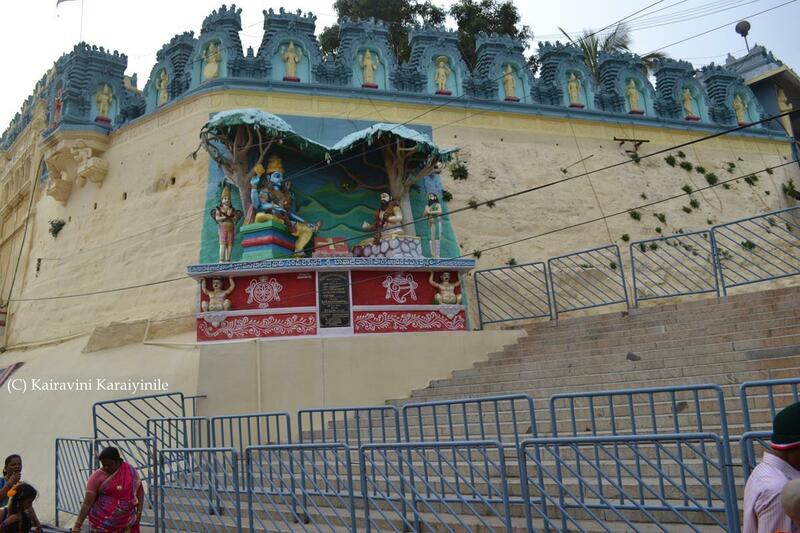 She wants Rama to convey the essence of Sri Venkateswara Mahatyam to devotees. 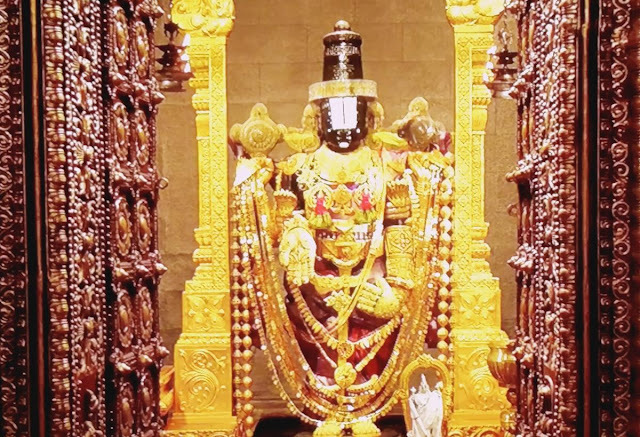 The most beautiful temple of Lord Srinivasa at Tirumala Tirupathi in its present form owes a lot to our greatest Acharya – Sri Ramanujar. 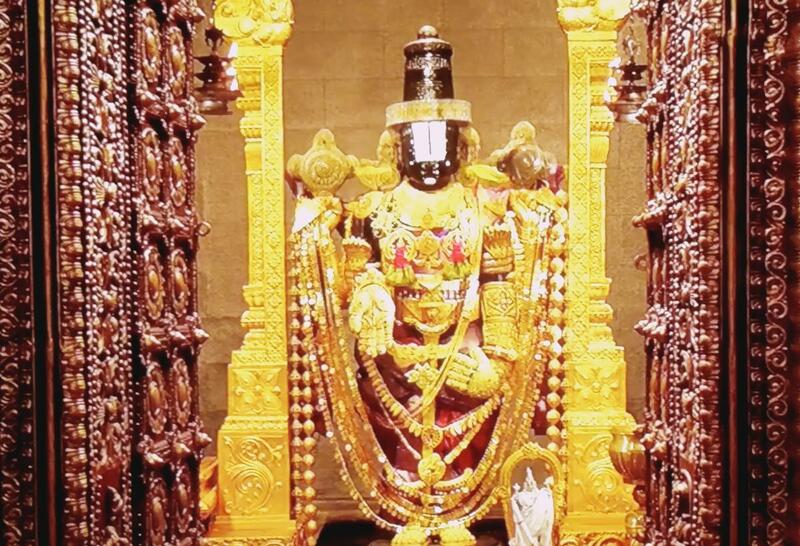 The very thought of Tirumala and chanting the name of Lord of Seven Hills would cleanse our souls. Every experience at Tirumala is so divine, one feels so refreshed and yearns of the next visit ! .. .. even as one enters and feels the chillness of the mountains, there felt is the divineness in air – every announcement be it of whatever nature on mike is preceded by ‘Om Namo VEnkatesaya’ – appeal to devotees follows .. .. .. When was the last Tamil film on Hindu mythology released ? – Tollywood needs to be appreciated for the regular flow. 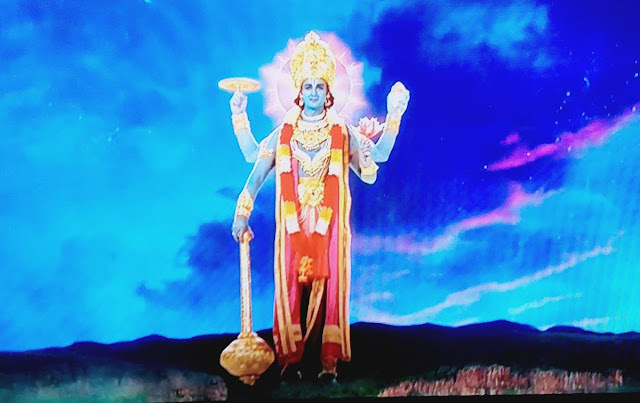 Om Namo Venkatesaya a 2017 Telugu devotional film, based on the life of Hathiram Bhavaji, was indeed inspiring and spellbounding. On the right hand side of the Rajagopura and the main entrance of the Holy temple stood a mutt popularly known as Hathiramji Mutt, which too alongside so many others and the beautifully ornate 1000 pillared mantap were dismantled a decade or so ago, in the expansion plan of TTD. It is stated that the temple before the formation of Tirumala Tirupati Devasthanams (TTD) was under administration of Hathiramji mutt. 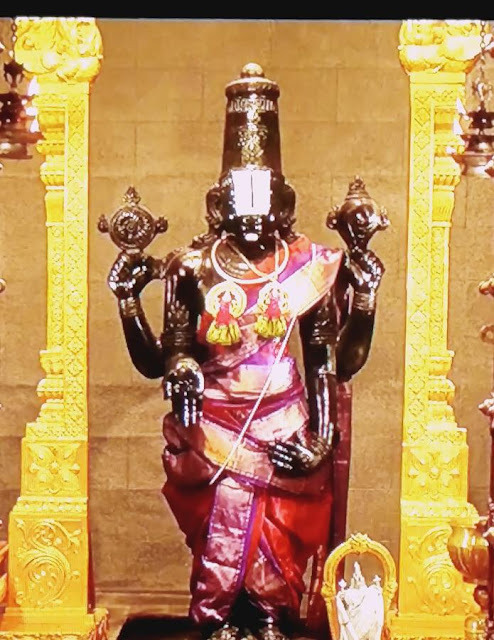 It is a matter of common knowledge that the temple administration [religious side] as also the other was fully controlled by the PeddaJeeyar Mutt instituted by Sri Ramanujar, almost a thousand year ago. There are so many legends and thiruviladayal [divine plays of Lord] associated with Lord Balaji of Tirumala. In popular belief is the one of Hathiramji. Hathiram was born in Rajasthan, a devotee of Lord Rama, who upon a visit to the holy place, was so attached to the Lord that he decided to stay here itself and e and set up an ashram outside the temple. 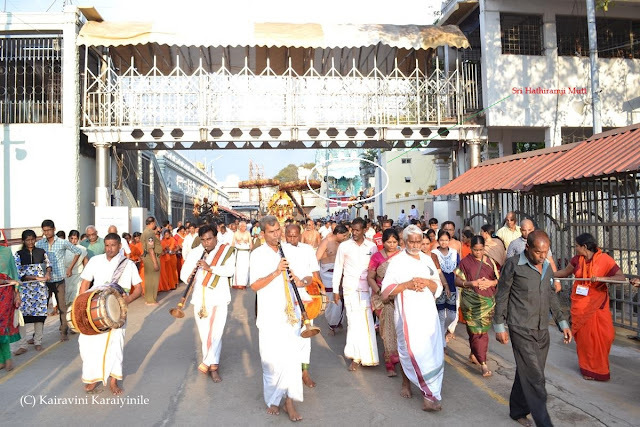 This is the present day – Hathiram Bhavaji Muth which from its earlier place above the mantap where Unjalseva is now daily performed now has shifted to a nearby place on way to Vaikuntam complex. It is believed that Lord Balaji was pleased with his devotion and used to come to his place to play dice with him. On a day, when Lord want to play with the devotee, his ornament was left there and the Priests finding the ornament missing, searched and found at the Ashram, thereby leading to some misunderstanding. 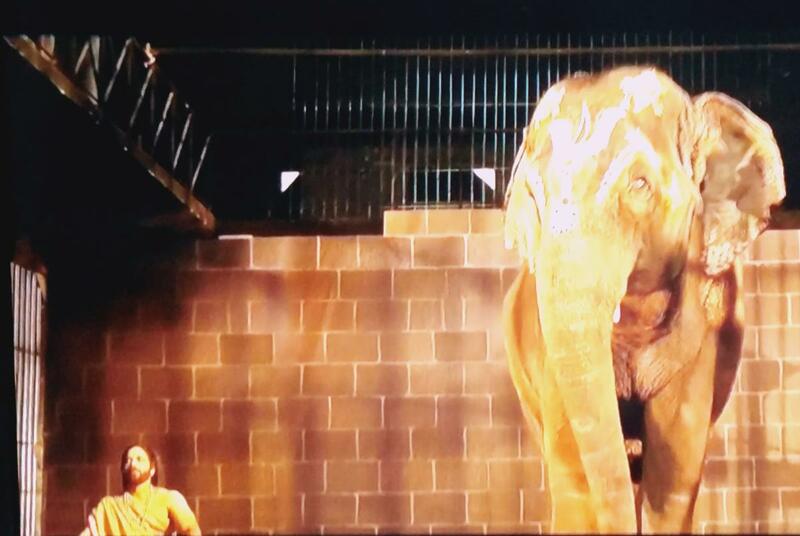 When the King ordered an experiment that was not humanly possible, Lord in the form of a white elephant helped His devotee and ensured that he was not harmed. Though there is a thematic depiction of Lord playing dice with Hathiram, there is no specific image of the Hathiramji in popular culture. Soon, there could be an identification based on the movie, the part of Hathiramji being played by Nagarjuna. Telegu tinseldom deserves credit and telegu cinema goers are to be appreciated for encouraging such films tinged with divinity. Here are some screengrabs of the movie put on ETv today. Business Communication : How to Address - Dear Sir (s) or Madam ?? 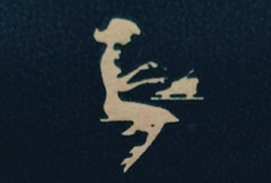 Can you recognize this logo ? Beginning a conversation with someone new may be a daunting proposition because of cultural norms and expectations. The way one addresses, places the subject appropriately in the middle and concludes with salutation are respected. In modern World [SMS language] one may get carried away by the mindless [or mind boggling] abbreviations and short forms. I belong to a generation whence joining a Typewriting institution was the norm, learning shorthand was considered a higher standard and mastery in stenography, gave a genius status ! ~ the days when formal English flowed in business letters and demi-official memos, dictated and transcribed manfully on typewriter keyboards [which had no del / correct facility] – a single wrong typeface would remain ungainly and there was this breed of Specialists, who typed out volumes of letters and statements where the account figures would match between different sheets .. .. .. ……..
Away from all this, a well-drafted letter [or e-mail communiqué] should start with an appropriate salutation, the precisely written subject line, the detailed clear subject matter, conclusion with the name, designation and Organisation signature of the Sender. Imperatively, it has to have the right people or group who are expected to respond on the ‘To’ field and those who are required to be kept informed by the mail in the ‘CC’ field and less talked about the ‘bcc’ field. Thus invariably, all communications should start with – Dear Sir. When addressing a Woman colleague, it generally Madam and if it is fellow employee or Junior, it could be a bit complicated – whether Mrs or Ms, and now a days Ms is taken to be common. However, special care is to be taken when it comes to addressing some specific posts like the Governor, a High Court Judge or one which specifies a 'protocol' that is meant to be adhered to. – but, if one were to write to a group or people without being sure whether the addressee is a Man or Woman – whether it should be – ‘Dear Sirs' or 'Dear Sir or Madam' could be the Q that one comes across ? Generally, in a formal writing, beginning with Dear Sir(s) or Dear Sir or Madam are equally acceptable, but make sure you match these with Yours faithfully at the end. Yours sincerely is used in less formal letters when the name of your correspondent is known, thus: Dear Vijay or Dear Mr Dhoni would end with Yours sincerely. If you know your correspondent very well, you might begin with Dear Ashwin and end with either Yours or Best wishes. Sometime back, one of Britain’s most prestigious law firms banned the use of “Dear Sirs” from all of its legal documents and communications, apparently the first of the “magic circle” of top City legal companies to do so. • Dear Sirs; Dear Sir/Madam; Dear Sirs and Mesdames; Dear Ladies and Gentlemen ; Dear Gentlemen and Ladies; Dear Colleagues; Dear Other Folks; Dear Losers; Dear Lawyers - they have a common characteristic: they serve no point. Here’s a startling revelation – you could remove that kind of meaningless salutation entirely and not change a single thing in the actual meaning of the letter. Now if you were using a personal salutation like “Dear Bob” or “Dear Mrs Smith” then that might be different – but many firms now use an Attention: Person approach to this in the address block itself, which makes lots of sense. So while the magic circle catches up with 2006 in its strive towards gender neutral salutations, the rest of us should be considering just abolishing them entirely. Next, in changing the language how they have they have actually changed the meaning. The reason “Dear Sirs” exists is because, traditionally, you were writing to the firm rather than to the individual. That’s why it was plural, and it’s also why you started marking things to people’s attention, rather than actually directing the letter to them. However, “Dear Sir or Madam” does not achieve that goal – you’re now clearly writing to the individual involved rather than the firm, since you’re using the singular of each. That begs the question: if you’re writing to an individual, you probably know who that is. So why now actually address them? Views, contrasting views, confusion and more ~ and that takes back to writing what you generally are comfortable, the formal way ! PS : the one at the start is the logo of Cores that specialized in Typewriter ribbons, carbons and more.